Lyulya Kebab is an Azerbaijan dish with reputation of second to none and the taste is just incredible. Some people say Azerbaijan's food is influenced by different culture, especially Persians, but i would like to correct one thing here, the food of Azerbaijan is far more flavorful and healthy then most of other nations and cultures and the history of some of its foods go far back, lyulya kebab history goes back 2nd century. If you check Roman historian Pliny the Elder as he describes lyulya kebab as the best he had ever tasted. But when people say Azerbaijan food is influenced from other cultures, I would like to inform them food of every nation is influenced by some other culture just for one reason, the world has seen the raiders, when they attacked other land they left their mark. 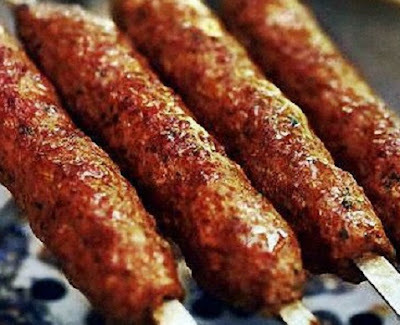 Lyulya kebab is such an yummy dish that when Turks invaded Azerbaijan, their soldiers would cook this dish on their swords on open fire, and they took this recipe with them. It is well famous in Turkey and has influenced some other dishes as well. If you like it please do use comment box below and do not forget to subscribe our site to get new recipes everyday, we don't just share the recipes from around the world, we dig the history for you to bring some of the best recipes for you and we bring the memories of ancient life into your kitchen. In a bowl add onions, garlic, cumin powder, coriander, red chili powder, salt, pepper, paprika, green chilies and lemon juice, mix well, add ground lamb meat into the mixture and kneed well, make sure everything is evenly dispersed and the spices and ingredients are mixed well with meat, cover it and refrigerate overnight for best taste. 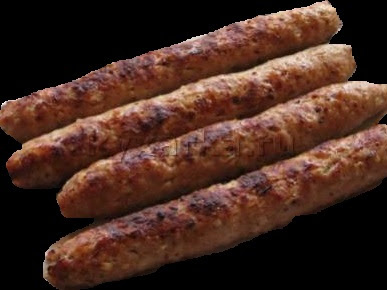 Shape lamb onto skewers like sausage shape. Preheat the grill over medium. Place skewers and grill until browned. Flip and repeat. Ground lamb can be lean, so do not cook too long or they can get dry.